Disclosure: This is a compensated post in collaboration with Sabra Dipping Company as a Sabra Tastemaker for the hummus. As usual all opinions are my own. Thank you for supporting the brands that support NJB! Per usual we are all getting the last minutes additions to our glorious feast for Thanksgiving, and the football that will inevitably be on the tv in many homes across the US. I admit, I am not a football watcher, I only watch the Superbowl. But I am, however, more importantly a football gamer snacker. Snacking on charcuterie, cheese plates, and hummus plates, that is my jam. I love food that I can eat with my hands, and put together the combinations that I want, really one of m favorite ways to eat is a nice platter of good food. Thinking tapas, always down for this! With the holidays upon us, I treasure finding my favorite little eats to make platters on a pretty cutting board. So I made a glorious hummus plate inspired by one we ate at the end of Summer on the Columbia River. Good times, good food, easy living… Choosing things you love is the first part of a good platter. For me, I love cheese, so when I put together a hummus plate, I try to stick with similar flavors and palates. Feta is the cheese for hummus for sure, easy enough to put into a cute bowl on the platter or cutting board. I put the dry goods like pita, crackers, and radicchio on the cutting board, and the rest on a plate for easier clean up. I found these sweet and very subtly spicy peppers at a local grocer called, Peppadew. They are African pickled peppers that are now my favorite for now, so so good. I also added the more traditional roasted red peppers that are perfect with hummus, feta, and pita. Good combo! Lastly I add greens, like arugula. It’s a good green that can add health and texture to each bite. But also keep in mind the gluten free guests you may have, and I served the longer easier to use treviso radicchio to make bites instead of pita or crackers. This takes very little time to put together for a very light lunch or appetizer to an already huge meal! But we need to snack early in the day, so let’s make it a healthy, abundant, and beautiful hummus plate! This is the fun part. Pick and choose your favorite vegetables and cut to bite size. Add different peppers, both fresh ad pickled are nice to serve. Add a green to make even healthier when topped on crackers and pita. Simply put your favorite vegetables or use my ideas, on a platter in bite sized pieces. 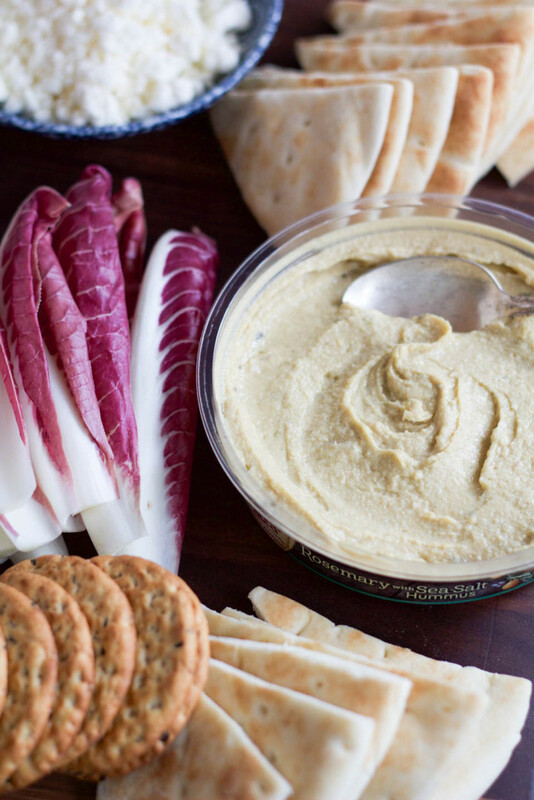 Serve with you favorite Sabra hummus flavors and have an easy appetizer, light lunch, or snack ready for you and your guests. You can put this together the day before, keep in tupperware until you are ready to serve in on a platter. Skip the football, it really is all about the snacks and I want this snack plate. All my favorite things! What a glorious hummus plate!! I could easily make this a meal. I need to hunt down that Sabra hummus with olive tapenade—YUM! 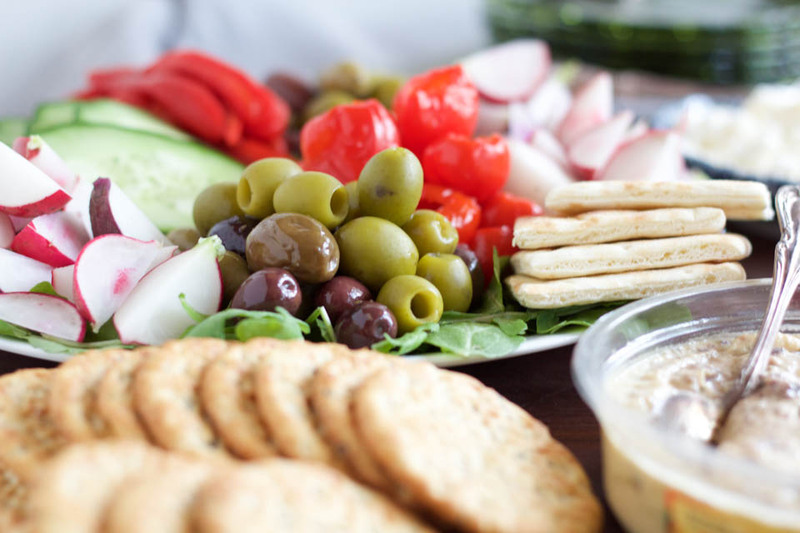 Must as I love football, if you were to put a tub of hummus and all those veggies in front of me, I’d forget all about the game and just sit there and feast! It all looks amazing. What a gorgeous selection, I love all of these ideas! I’m a *huge* hummus and look forward to using a lot of these ideas! 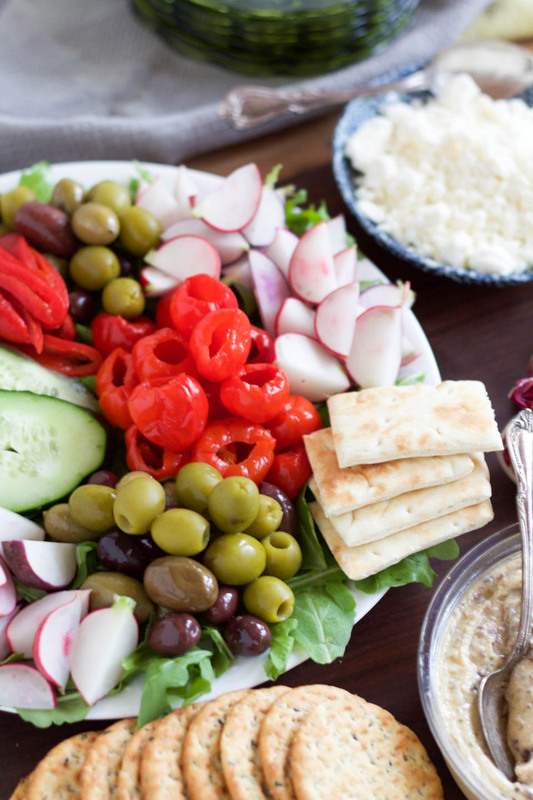 Now this is a great snacking plate! 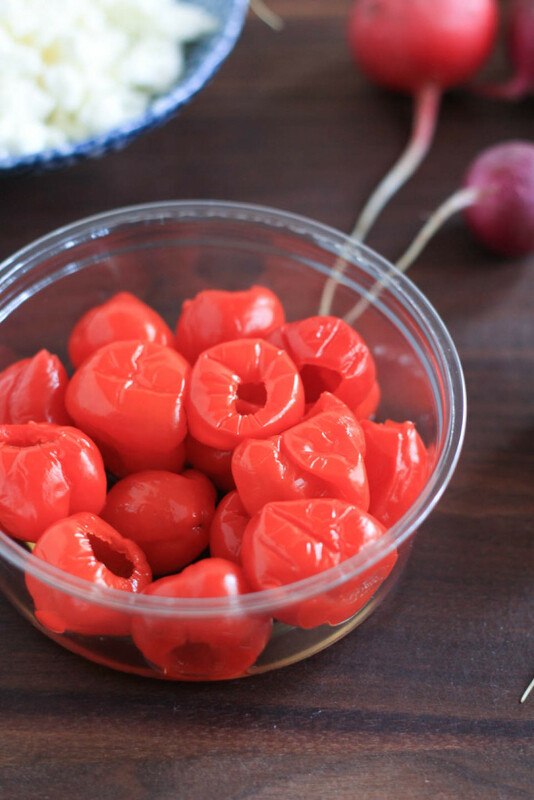 Those Peppadew peppers are so darn good and you choose one of my favorite Sabra hummus flavors (olive tapenade) for dipping. Hummus plates are my favorite + I looooooove Sabra! I lovelovelove me some Sabra, and this plate is so perfect for Holiday entertaining…if I don’t eat the whole plate myself! Pinned! forget the snack….that looks like an awesome DINNER to me! 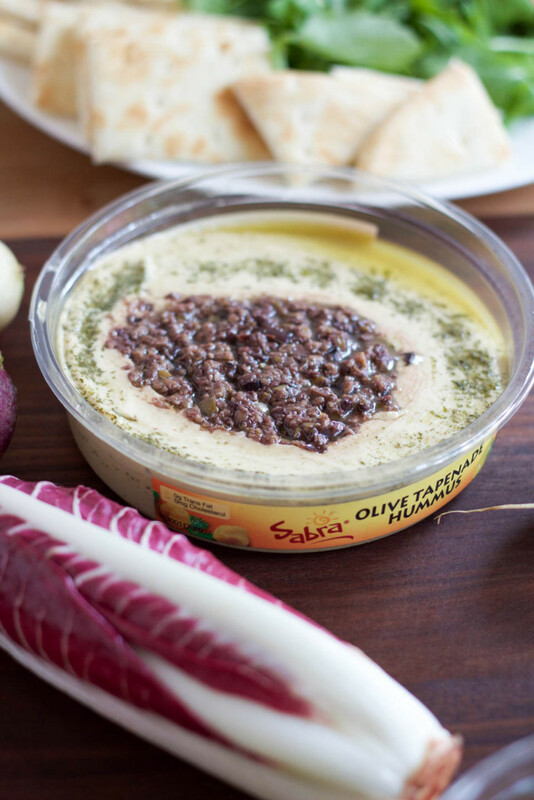 You included my most favorite of the Sabra hummuses–Olive Tapenade! Beautiful presentation!!! You are such a pro at featuring the best side of good food! You are the best. Thank you sooooo much! 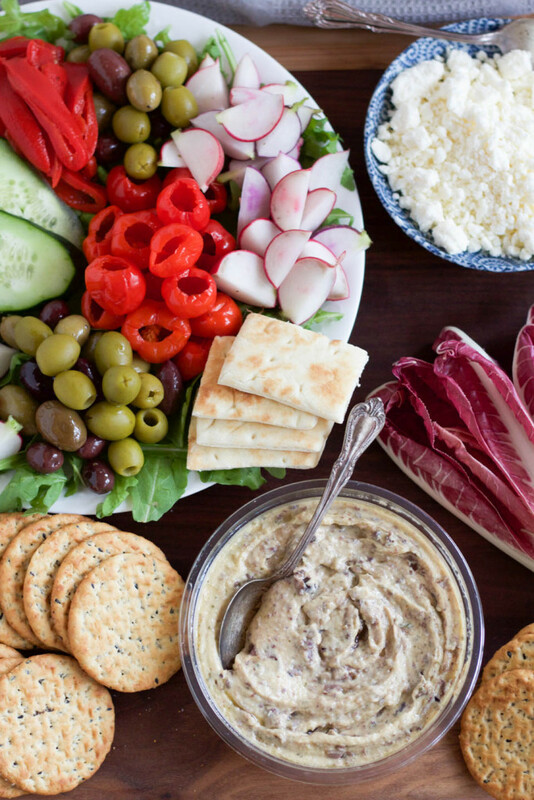 There’s just so much deliciousness to go along with Sabra hummus. Beautiful!